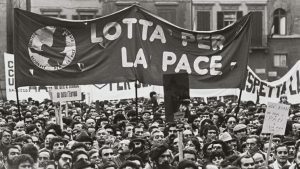 Dr Eirini Karamouzi has curated a new exhibition which shines new light on peace protests that swept across Southern Europe in response to the nuclear arms race of the late 1970s and 1980s has been launched by a historian from the University of Sheffield. 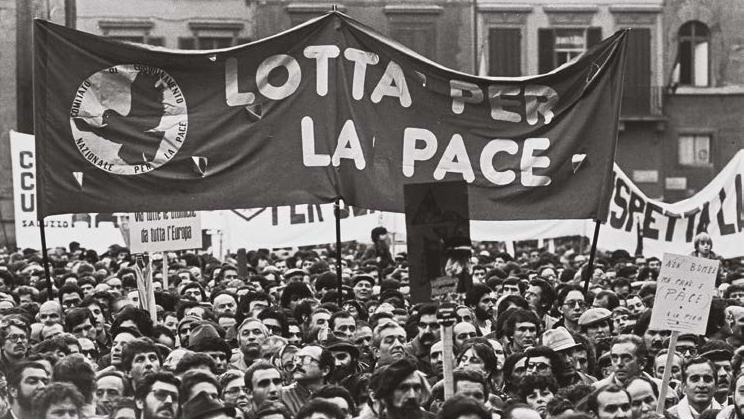 The exhibition provides a new and comparative perspective on the anti-nuclear and anti-militarist peace protests that were held throughout the continent, particularly in Greece, Italy and Spain. Launched at the Hellenic Parliament Foundation by the President of the Greek Parliament, Nikolaos Voutsis, the exhibition and accompanying catalogue showcases the strong relationship between governments, nuclear strategies and peace movement mobilisation. Developed in collaboration with Dr Giulia Quaggio – a Max Batley Peace Studies Postdoctoral Fellow at the University of Sheffield – the exhibition also aims to be a reminder of the existential threat that nuclear weapons still pose to humanity and the value of harnessing the power of the people. This entry was posted in News and tagged Cultures of the Cold War, Exhibition, Peace protests on November 15, 2018 by Beky Hasnip.